Hello fitness friends! You’re amazing! I hope you’re being kind to yourself and eating healthy. I hope you’re exercising and gaining muscle. 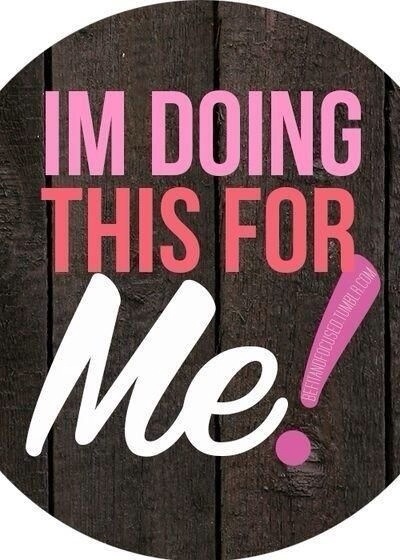 Do it for you! There are many people who choose diet and exercise for vanity. Magazines and media feed us images of people who have been airbrushed to society’s standard of perfection. If we simply focused on health, there would be industries out of business. So, when I say, “Pursue wellness for you!” I don’t mean for the sake of vanity. I say it because when you’re 80 years old, you’ll regret not taking care of yourself. When we are young we believe we will live forever! The junk food, late nights, couch potato lifestyle seems alright. The truth is, once you reach a certain age losing weight becomes a struggle. Once you start working full time, you’re often too tired to workout every day. Throw in some kids and well, rest becomes the priority. We need to take care of ourselves or we don’t have anything to offer anyone else. If you lose the priority of caring for the temple God gave you, eventually it will catch up to you. One of my strengths and weaknesses is I long to put others first. I wake up thinking what I might do for someone else. I spent many years neglecting my emotional, physical, and mental health to help care for a sick patent. I’ve been known to juggle many things and not take concern for my well being. Here’s what I’ve learned. 1. You can only give what you possess. When you’re tired, worn out, and not caring for yourself; there’s nothing to give to anyone else. 2. Set boundaries quickly in relationships. No is a good word. Know where your responsibility ends. We can’t be all things to all people. We can also delegate to others. 3. Love people, yet manage toxic relationships. Drama, spiritual and emotional leeches, takers, constant nagging/complainers, the gossips and haters, the people who are super negative. Limit your time with them if you cannot get out of the relationship. If it’s a spouse or close family member, consider counseling or letting them know, “I love you, yet we can have this conversation when it becomes more respectful or positive.” You set the boundaries for what you’ll accept. If I waited or relied on other people to support my dreams, provide encouragement, or help…I’d be screwed. Most people put themselves first. So, you learn to be good to yourself. It’s not selfish to take care of yourself. Eat healthy, exercise, take breaks, feed your mind and soul good things. 5. Take care of your mind, body, soul, and spirit. Neglect one and the rest suffer. Smartphones have set us up to have non stop communication with people. It’s okay to turn off the phone, not respond to every text or email. Give your brain a break. Studies have shown social media increases depression in people. They are constantly comparing their life to others. News flash: most people post the best pictures and stories of themselves. Sweet friends, I’m not encouraging you to live a self centered or selfish life. I am encouraging you to take care of yourself. Time flies and you’ll regret the neglect as you age. Blessings to you as well! Wishing you the best on your wellness journey.